Time needs to be captured quick and conveniently, and when it isn’t, you pay for it. Arrow PSA integrates both resources and time throughout the entire workflow of the application. It is a configurable time tracking solution, and an easy-to-use time management system, that can help you reduce revenue leakage from inefficiencies. Increase profitability with intuitive time tracking on Salesforce. Time needs to be captured, quickly and convienently, and when it isn’t you pay for it. 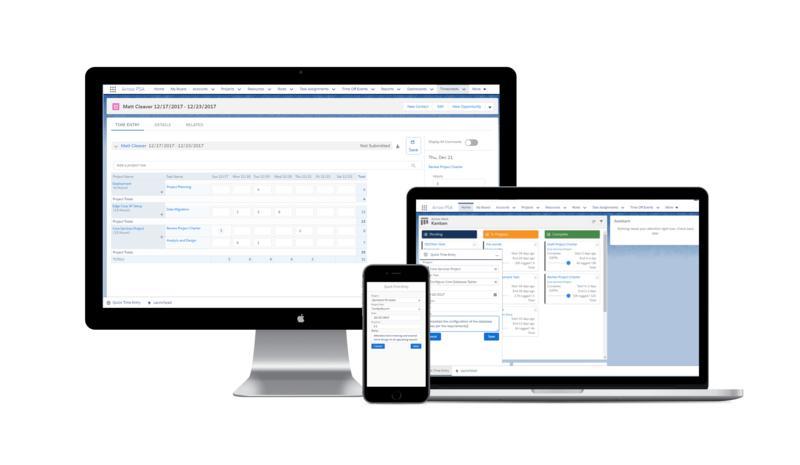 Arrow PSA is a configurable time tracking solution and easy-to-use time management system to help reduce your revenue leakage. Increase Profitability with intuitive time tracking and approvals. Simple, intuitive user interface lets users enter time by task or by week on a standard time sheet. Supports case time entry so users can manage cases within Salesforce and track time as needed.